Congratulations to the following students who received Superior rating at the TVMTA Spring Music Festival on April 13: Sarah French, Jonathan Lee, Noelle Hong, Charys Hong, Rachel Hong, David Huang, Katherine Shepherd, Hailey Wiltse, Andreas Schaefer, Ron Lycan, Anna Stone, and Fiona Harley. To my knowledge, seven different teachers participated this year, the auditions were held both in the morning and afternoon, and a total of 26 Gold Medals were awarded by the judge. I am very pleased that 12 of these were earned by students from our studio! 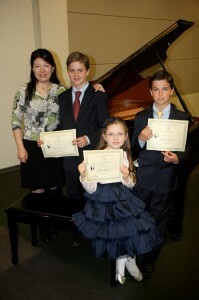 They will receive their Gold Medal at the Honors Recital on May 4. 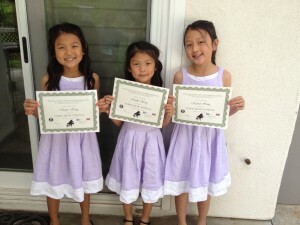 The recital is at 10am and will be held at Temecula United Methodist Church. The recital is open to the public. Come hear these winners! Congratulations to the following students who performed at the Southern California Junior Bach Festival on April 13: Hudson Erickson, Sarah French – Honorable Mention, Emma Erickson – 1st Alternate, Ron Lycan – 2nd Alternate, and Hunter Erickson – Winner! Emma, Ron, and Hunter will move on to compete in the Regional Festival on May 11 at Chapman University! I am so proud of all of you! Charys Hong, Rachel Hong, Shania Jin, Emma Erickson, Hudson Erickson, Hunter Erickson, Sarah French, Katherine Shepherd, Ron Lycan, Kanako Suzuki, Claire Howard, John Howard, Catherine Howard, Alexa Willis. 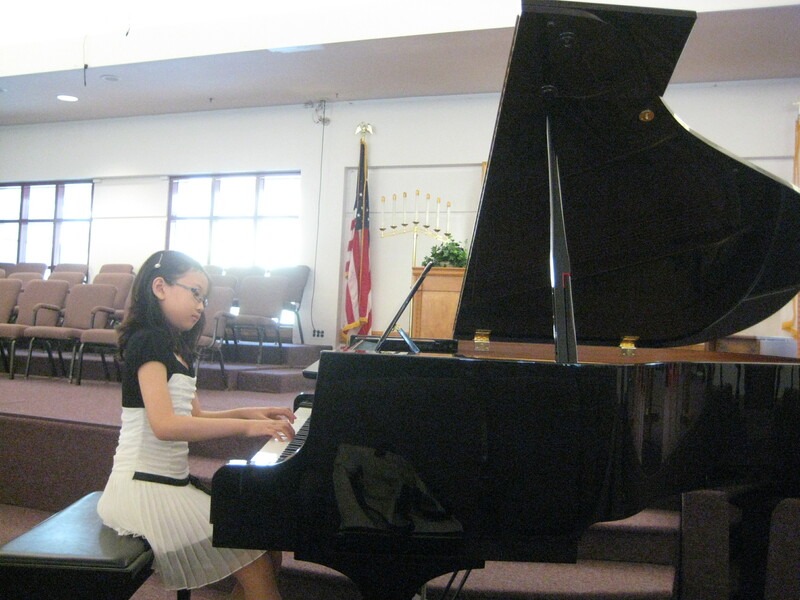 The competition is held on May 18 at the Grace Presbyterian Church, starting at 8:30am. Good luck to these students! A big Thank You to all my students and their families who came to my solo recital on April 14 at The Merc in Old Town Temecula Theater. It was great to see so many of you! Your support was greatly appreciated! April has been such a busy month for me, with lots of performance and accompanying engagements. 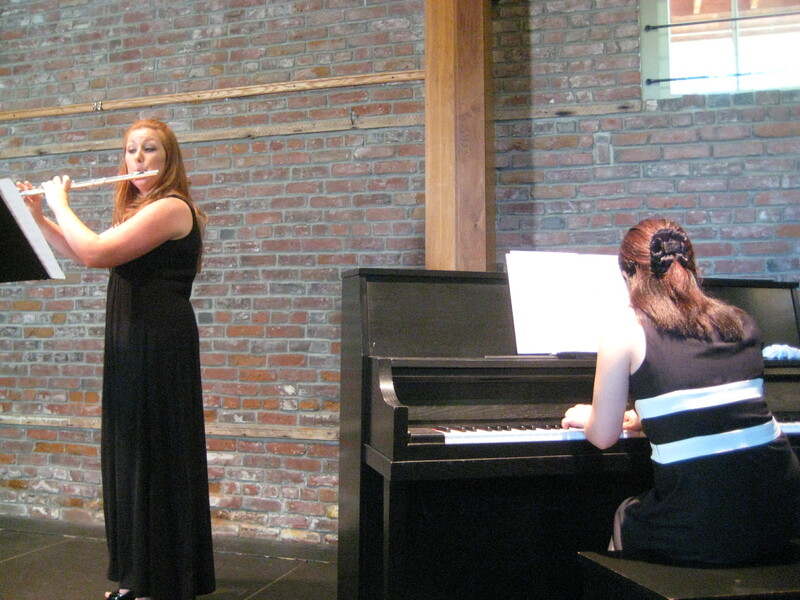 I accompanied for the San Diego Flute Guild Festival on April 21, and performed with the Inland Valley Symphony on April 27 at a private concert held in The Oasis in Menifee. Thank you for being flexible when I had to reschedule your lessons in order to accommodate the various rehearsals. 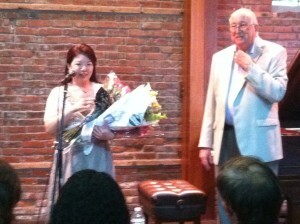 My next performance will be at the Inland Valley Symphony Library Recital on May 4. The recital is held at Grace Mellman Library and starts at 2pm. This recital will feature fantastic chamber music, performed by members of the orchestra, including the conductor Anthony Parnther, flutists Kate Prestia-Schaub, Kara Brennen Wuchner, and Gigi Paddock. The recital is free! This is an outreach program sponsored by the symphony and the library.